“I wish I could make this announcement today, but we will be making changes to the streamline refinance program structure of premiums soon to achieve greater use of the program,” Galante said. But the FHA settled with Bank of America ($8.13 0.015%) over previous Countrywide origination issues for roughly $1 billion. Half of that, along with other settlements to be announced soon will send more than $900 million to sure up the FHA fund. “We’ll continue working on ways to allow the private sector to pick up market share,” Galante said. 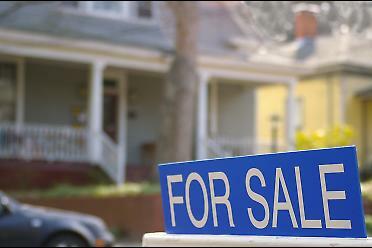 NAR also highlighted the role of investors, with investment-related buyers purchasing 23% of homes sold in January. That’s up from 21% in December. Forget what you think of when you think “Realtor”. I am not a salesman. I am a trusted advisor, a resource for local market conditions, and an expert negotiator. It is my goal to meet YOUR goals and I approach each client with their specific needs in mind. Put my years of experience and proven results to work for you whether you need to sell a home quickly or search for your dream home for years. I work with buyers and sellers in all price ranges and I am Licensed in Delaware and Pennsylvania. Real Estate with a difference. Call me to discuss YOUR Real Estate goals. Residential sales in New Castle County, Delaware and surrounding Pennsylvania Counties. Mortgage applications fell 4.5% for the week ending Feb. 17 on lower refinance activity and fewer home purchases, an industry trade group said. The Mortgage Bankers Association said its market composite index — a measure of mortgage application loan volume — fell 4.5% from the previous week, while the refinance index fell 4.8%. In addition, the seasonally adjusted purchase index declined 2.9% from a week earlier. The refinance share of mortgage activity also declined to 80.1% of total applications, down from 81.1% the previous week. MBA says 57.2% of applications in January were for fixed-rate, 30-year loans, while 24.4% were for 15-year fixed loans and 5.5% for ARMs. Meanwhile, the average contract interest rate for 30-year FRM’s with conforming loan balances of $417,500 or less grew from 4.08% a week earlier to 4.09% in the most recent report. The average 30-year FRM jumbo loan grew from 4.30% to 4.32%, while the 30-year backed by the FHA remained unchanged at 3.87%. The 15-year FRM increased to 3.38% from 3.33%. The average contract interest rate for 5/1 ARMs also grew to 2.94% from 2.83%. Home Depot ($47.30 0.37%) reported a 32% increase in fourth-quarter earnings, boosted by the warm weather, which drove demand for building projects. Fourth-quarter income rose to $774 million, or 50 cents a share, from $587 million, or 36 cents a share, and sales were up 5.9% to $16 billion. The company saw positive same-store sales during the final three months of 2011 in all of its top 40 markets, including those in hard-hit California and Florida, Chief Executive Frank Blake said. The company’s stores in Canada and Mexico also saw an increase in sales. While Blake said the home improvenment store’s results may suggest a strengthening yet still uncertain market, pointing out that private, fixed-residential investment as a percent of gross domestic product remains near its 60-year low of 2.26%. 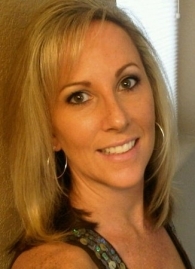 I am a full time realtor in Northern Colorado – I love my job and most of all I love helping people find homes. I have worked with numerous gay/lesbian couples, have many references of such and would love to assit you in buying or seling a home. I am married and have 6 children (2 have 4 legs but they are my children) and am a strong believer in equality for all! The housing market is expected to make a positive contribution to gross domestic product for the first time in seven years in 2012, albeit a very modest one, Fannie Maesaid Tuesday. The government-sponsored enterprise reported GDP growth of 2.8% in the fourth quarter of 2011 and predicted a growth rate of 2.3% in 2012, up from 1.6% last year. 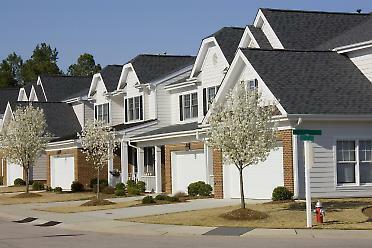 Fannie said any contributions from the housing sector will be modest. Housing also showed signs of improvement late last year with existing home sales rising in December for the third consecutive month. 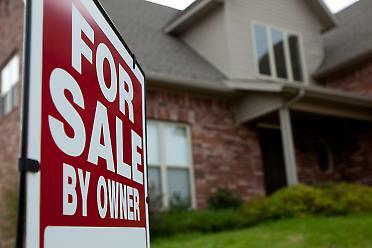 Improvements in home sales going forward are expected to be tepid, considering the weak sales levels and the persistent belief that home prices will continue to decline, challenging demand in the housing market, the report said. The economy was buoyed by business inventory increases and modest consumer spending improvements in the final three months of 2011, Fannie said. In addition, the economy benefited from higher performances in the manufacturing and services segments late last year. Fannie says economic indicators suggest a pickup in construction of apartment buildings and a modest uptick in single-family construction. Still, there are challenges that could emerge derailing 2012 growth projections. “However, economic growth will remain constrained by various headwinds, such as a potential spike in oil prices due to tension in the Middle East; an expected decline in net exports from the global slowdown; and an expected increase in fiscal drag, including the fading of federal spending from the stimulus and a decline in defense spending for operations in Iraq and Afghanistan,” according to Duncan. The delinquency rate on U.S. mortgages monitored by Lender Processing Services ($22.54 0%) fell in January but foreclosure starts rose. The delinquency rate fell to 7.97% in January 2012, representing a 10.5% annual decline. The rate dropped 2.2% from December, according to LPS’ its first look at January mortgage performance statistics based on its loan-level data of nearly 40 million loans. The Federal Reserve Bank of Chicagosaid its national activity index, which reflects inflationary pressures and economic growth, remained in positive territory in January for the second straight month, while housing issues continue to stifle overall growth. The survey gives a score of zero and above when the economy is expanding, while negative values show a decline in growth. Overall, the index fell to 0.22 in January from 0.54 in December, indicating the economy is growing but at a slower pace. Data from consumption and housing contributed a negative 0.27 to the January index, narrower than negative 0.3 in December and suggesting housing still remains a drag on the overall economy. Out of all the categories measured to gauge economic activity — housing, consumption, production, income, employment, sales, orders and inventory — only housing and consumption had negative growth index scores in January. Recent jobs reports are generally more optimistic than housing forecasts. The Labor Department recently said the seasonally adjusted figure of initial job claims for the week ending Feb. 11 declined to 348,000, down from 361,000 the previous week. In addition, the Bureau of Labor Statistics said in February that jobless rates fell in 329 of the nation’s 372 metro areas in December. 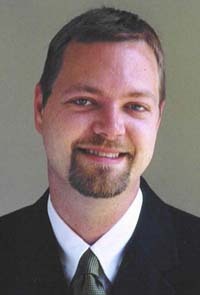 Lionel Laday has been active in the real estate industry since 2000 were he began his career working in Southeast Texas for Coldwell Banker Southern Homes in the Relocation Department learning a wealth of knowledge about corporate relocation, referrals and managing inventory property. In March 2005 Lionel worked with a top producing agent of Coldwell Banker Southern Homes where they closed over 14 million in sales a year. In April 2008 Lionel relocated to Austin, TX and became associated with Keller Williams Realty, the third largest residential real estate company in the U.S. In April 2010, Lionel joined Regent Property Group, LLC to expand his business opportunities. After two successful years at Regent Property Group, LLC, In January 2012 Lionel decided to return to Keller Williams Realty Lake Travis Market Center to serve as Realtor and Contract to Close Manager. Lionel is currently a member of the Austin Board of Realtors, Texas Association of Realtors and National Association of Realtors. Lionel is an active member of the community by volunteering his time at church helping with many teams and ministries that provide a loving atmosphere for worship. If you are looking for a positive and friendly Realtor to help you buy or sell your home then look no more! It is Lionel’s personal goal to make each transaction fun and simple for all his clients. Lionel has 11 years of experience in residential real estate sales. Let his real estate knowledge go to work for you today!